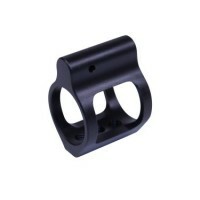 AR AIRLITE SERIES SKELETON STEEL LOW PROFILE GAS BLOCK - US MADE, NITRIDE FINISH.750 Diameter Black Nitride Finish-NEW!SteelSkeletonized Airlite Series ModelThree Set Screws LightweightRoll Pin IncludedFor your safety, Moriarti Armaments recommends this part be installed by a competen..
CNC machined from cold rolled steel Nitrite finish Designed, Manufactured, Tested and Assembled in the U.S.A Gas block is fully adjustable via screw with detent system 20 points of adjustment from gas port closed to fully open Simple ‘one hand’ adjustment from front of rifle Gas ..
AR .936 STAINLESS STEEL LOW PROFILE GAS BLOCKStainless SteelHigh Polish Finish.936 DiameterShort VersionAllen Keys and roll pins included ..
AR 15 .750 Gas Block Top & Bottom Picatinny Weaver Rail AR15 223 5.566061-T6 High Quality Aluminum Low Profile Gas Block Come With Roll PinFits 0.75" Regular Barrel and Standard Gas TubePrecision Machined from Aluminum with Tight Tolerance Control4 Slots for Weaver/Picatinny/unive..
Gas tube available in any length for your AR build Stainless SteelRoll pin includedFor your safety, Moriarti Armaments recommends this part be installed by a competent, qualified gunsmith/installer with an understanding of the weapon platform that the part is being worked on. 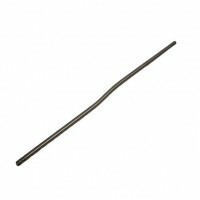 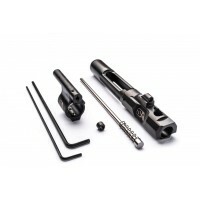 ..
Adjustable Gas tube available in any length for your AR build The MGI Adjustable Gas Tube for your AR solves gas port erosion problems without the expense of replacing the complete barrel. 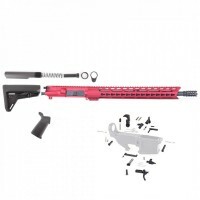 It also allows you to adjust the pressure to specific ammunition, conditions, or when working with silencers..
AR-15 .750" Adjustable Piston System - Solid - Melonited - Low Pro - Various Length THE SUPERLATIVE ARMS PATENTED “BLEED OFF” GAS PISTON SYSTEM FOR THE AR15 PLATFORM ADJUSTS THE GAS FLOW BY BLEEDING THE GAS OUT OF THE BLOCK INSTEAD OF RESTRICTING THE FLOW LIKE CONVENTIONAL ADJUSTABLE..
Barrel Nut Kit for A2 style. 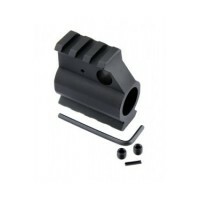 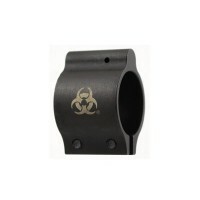 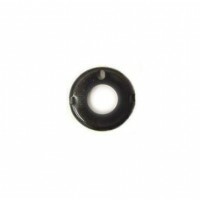 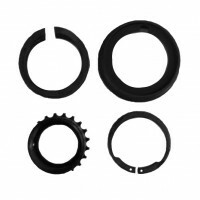 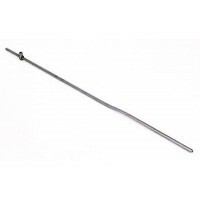 This kit includes:Delta RingWeld SpringSnap RingBarrel NutAll Parts Are Mil-Spec .. 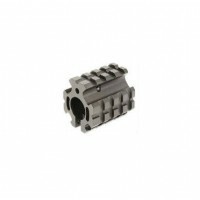 Original factory part M4/M16 Round Hand Guard retainer cap to replace damaged or lost pieces for your 2-Piece style hand guards.Length: 1.625"Net Weight: 0.3 oz.Color: Black ..
.936 ADJUSTABLE GAS BLOCK BLACK RAIN LOW PRO Black Rain Ordnance, .936 Gas Block, Adjustable, Black Finish, Includes Set ScrewsPRODUCT SPECIFICATIONSUPC Code: 696859285547Manufacturer: Black Rain OrdnanceManufacturer Part #: BRO-LP-936AModel: .936Type: Gas BlockFinish/C..
AR DPMS 4 rail gas block replaces your sight tower on your .936 barrel. 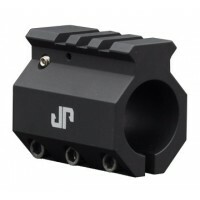 Adds mounting space for tactical light, laser, detachable front sight, or other accessory. 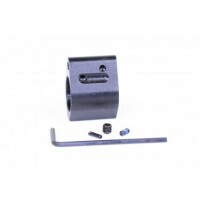 Made in USA Fits 0.936" Gas system Replaces A2 Front Sight and provides 4 Pi..
Picatinny rail design allows installation of quick-detach accessories such as front sights, lights and lasers. 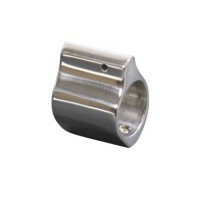 Material: 6061 aluminum Finish: Black hardcoat anodizing Weight: 2.5oz Length: 1.875" Height: 1.650" (overall), .930" (over bore) Width: 1.225" Attachment: 8-32x1/2" socket..